Made by hand with lotsa hustle love. I’m a monster fan of integration be it a business strategy, department store or coffee cup design. 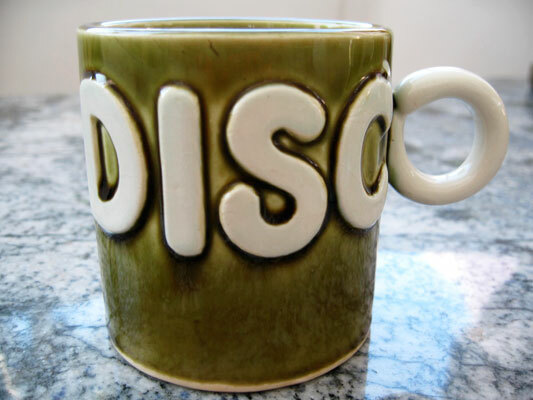 The integration of the ‘o’ from ‘Disco’ into the cup handle is genius to the point that the monster mistake made is excusable. That drippy moss green ceramic glaze is vintage Hippie, as far away from a Disco color scheme or technique as imaginable. Which kicks this cup even higher on the Kitsch scale than cup design alone. 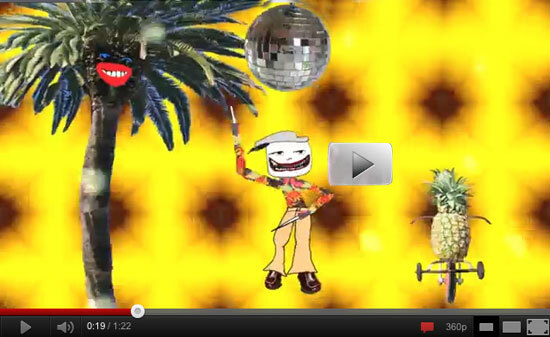 I love anything Disco. What I love even more is when popular crazes are borrowed from and replicated as close as they can possibly come without risking copyright infringement. 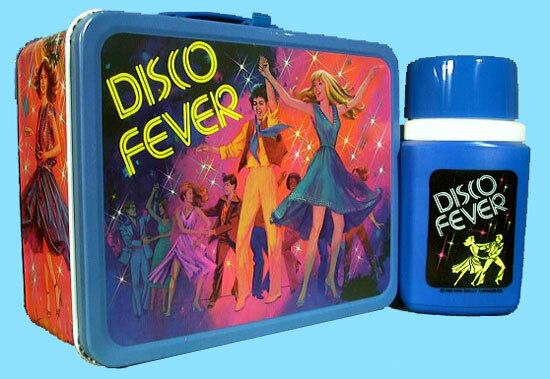 Hence, Disco Fever instead of Saturday Night Fever. 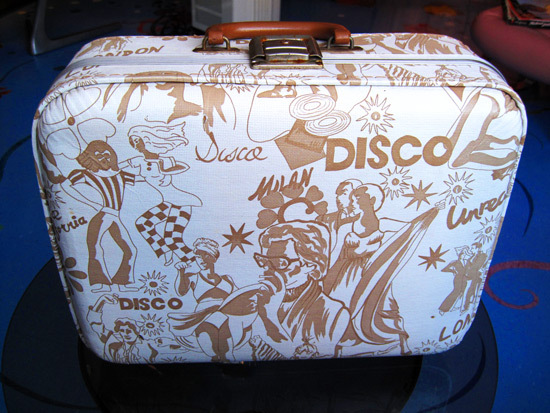 Made by Aladdin in 1980 and featuring roller skating couples on the back, this lunchbox appeared three years after John Travolta insured polyesther white suits a place in history. Fluffernutter sandwiches go best with the box, red Kool-Aid in the thermos.